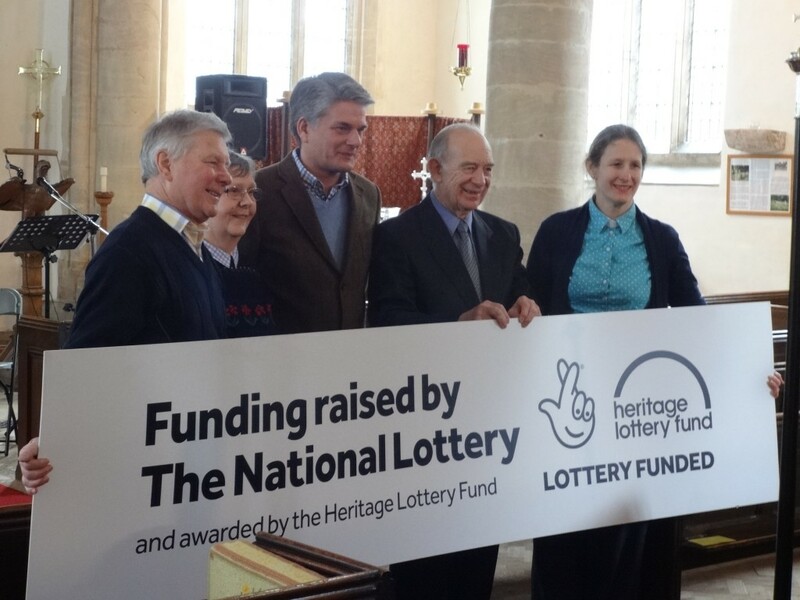 St Swithun’s, a wonderful Grade I listed parish church in Long Bennington, has had ongoing challenges with the condition of the building, but we were very excited to hear that they have been awarded an HLF Development Grant for identifying the urgent repairs. We attended the official announcement with the PCC last week that signalled the start of the project. There are a number of contributing factors to the problem. The north side of the church is very wet and the eaves gutters and down pipes are in poor condition. The ground level drainage channel is largely ineffective and it is likely that the wet ground conditions are a significant influencing factor to the movement and providing new rainwater goods and surface water drainage will go some way to improving the situation. The lead to the chancel roof has reached the end of its life with a number of cracks and splits particularly across the roll joints and the south gutter has been leaking for some time with strong evidence of decay to the wall plate and principal truss timbers in this area. It is recommended that the north and south gutters and the main roof are replaced and due to the ongoing water ingress it is likely that sections of the wall plate will need to be replaced along with the principal truss. Fundraising is part of the grant offer, the church has strong links with the community and there are a number of events taking place including the village knitting 1,500 poppies for the Armistice centenary exhibition due to take place from mid-July.